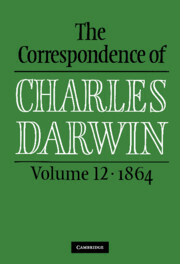 This volume includes many letters not previously published, and chronicles a year that was enlivened by scientific controversy and filled with scientific queries and discussions relating to Darwin's transmutation theory. 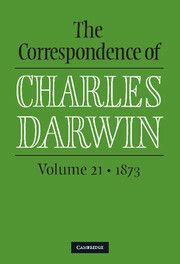 His love of botany and his expanding experimental programme is well depicted by correspondence with professional botanists, horticulturalists, and hobbyists. 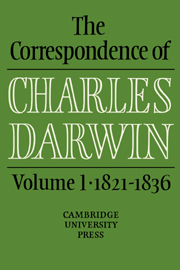 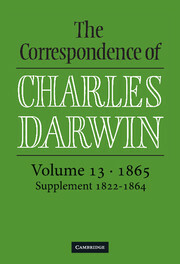 Nine appendixes complement the letters by providing additional information from the Darwin Archive and from nineteenth-century publications. 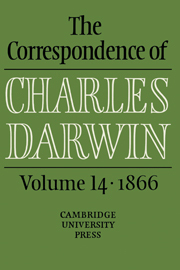 The letters also provide glimpses of life among the Victorian gentry, and reveal the practical and emotional support Darwin received from his family. 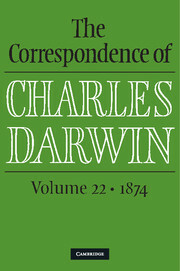 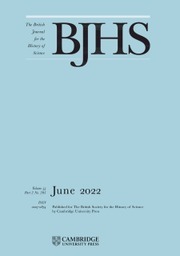 Awarded the Founder's Medal of the Society of the History of Natural History, and the Modern Language Association of America's first Morton N. Cohen Award for a distinguished edition of letters. 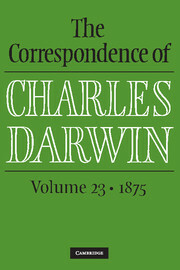 Awarded the Founder's Medal of the Society of the History of Natural History, and the Modern Language Association of America's first Morton N. Cohen Award for a distinguished edition of letters.